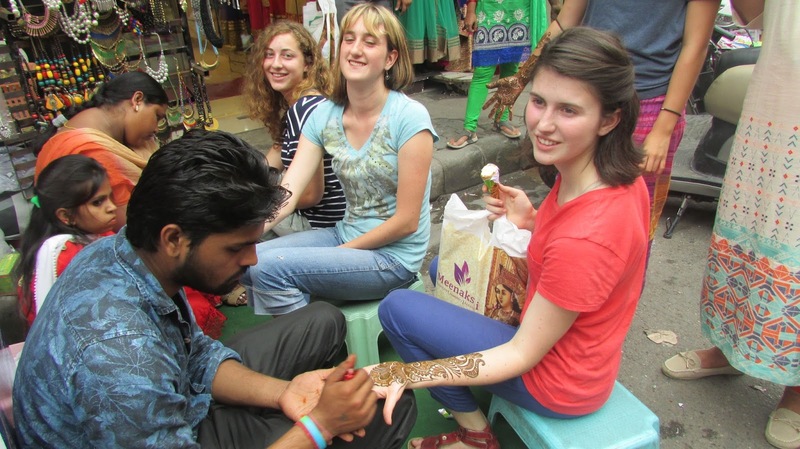 India Service Learning 2015: Saris, Mendhi and Ganges, oh my! 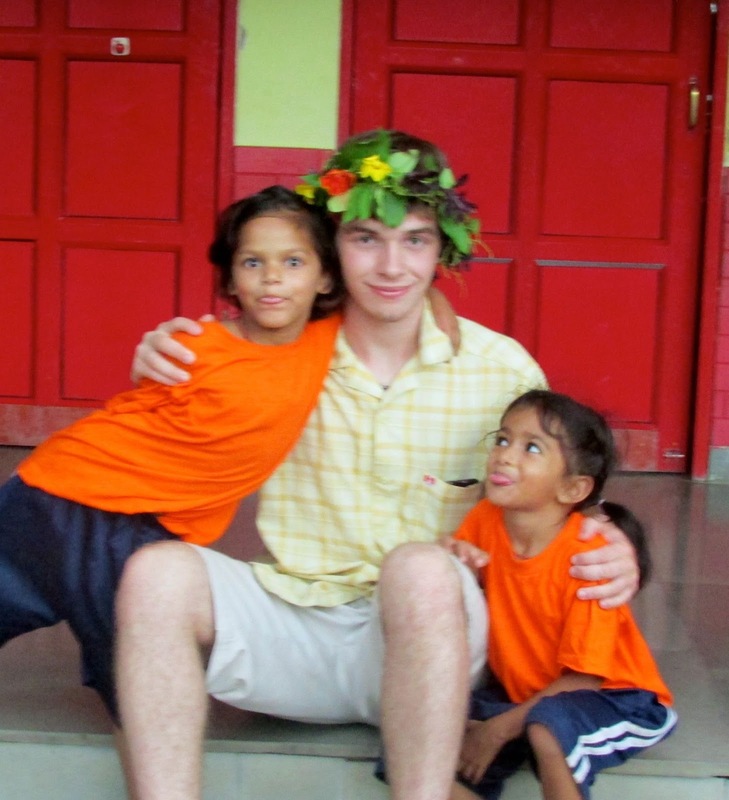 Our second weekend at Joybells School and Orphanage was even more eventful and full of surprises than the busy weekdays. On Saturday, the girls finally went shopping for Saris that we have long been craving. The seven of us including Priya, the amiable niece of Joy, and our friend and guide, Arun, drove by car to a busy market in downtown Dehradun. Amid the buzzing market we found our shop and were immediately startled by the marvelous rows and rows of Saris along the wall. After hours of selection, we finally settled on our decision and went to a street-artist to do mendhi—henna tattoos—in celebration of gaining the extraordinary pieces of clothing. 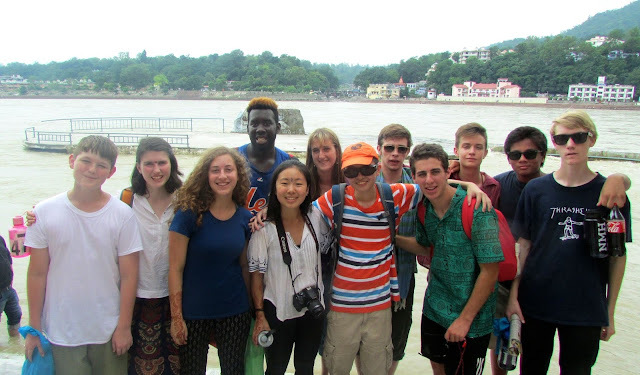 On Sunday, we went on a trip to Rishikesh—the holy town by the Ganges, amid the mountains. We started off our day by doing a little shopping in the various stores along the street. We patronized a Tibetan/Buddhist store, whose owner we have met before, and marveled at the handicrafts. Strolling along the busy road along the Ganges with wandering cows and marching pilgrims, we were from time to time greeted by the amiable local people. 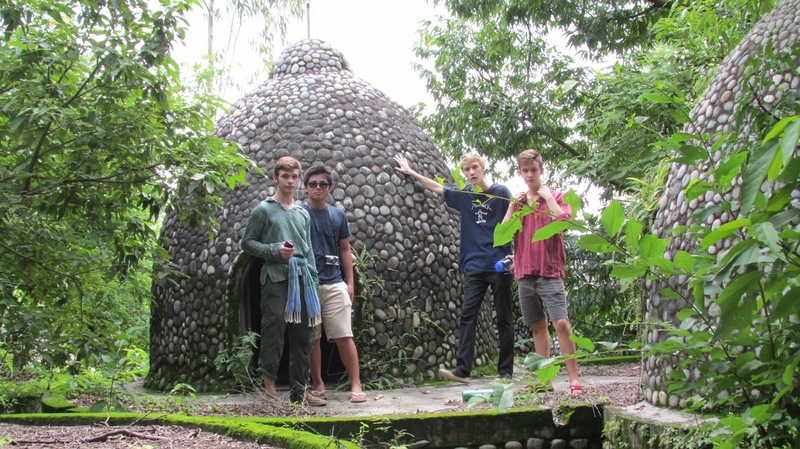 We arrived at the site where the Shiva statue used to stand, stepped down the stairs, and dipped our skin into the holy river of the Ganges. 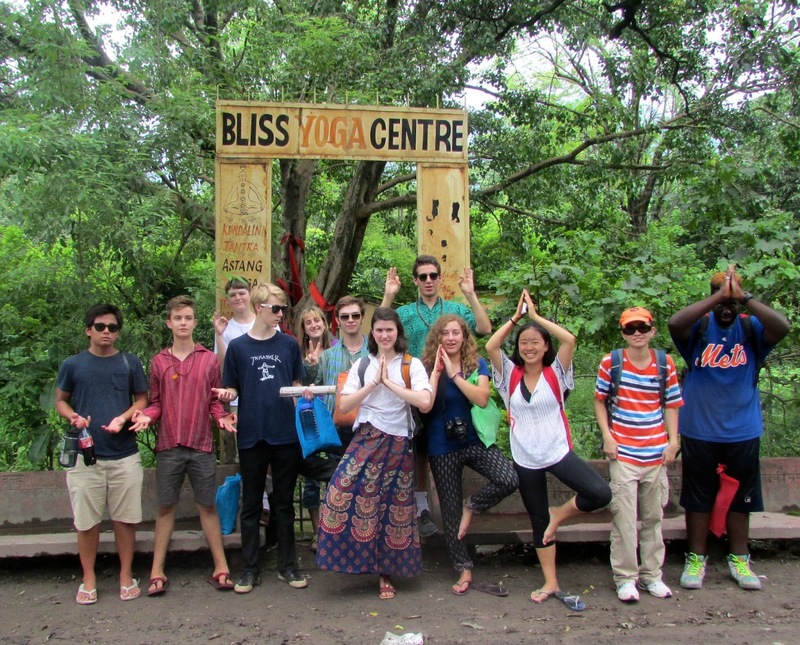 Last but not least, we visited the ashram where the Beatles once stayed. Breathing in the same air and looking out at the same scenery as our idols completed the wonderful day. P.S. from Atta and Jim: Julius celebrated his 17th birthday on Monday and the entire Joybells community joined together to create a special day for him with a crown of flowers, dancing, and delicious treats and cakes made by the children. This was a birthday he will not soon forget, nor will we! 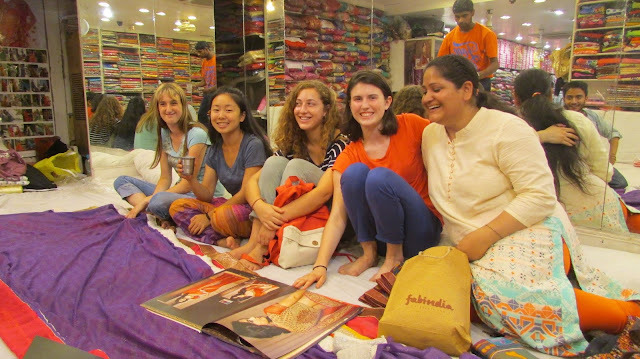 Girls shop for saris in downtown Dehradun. The girls get mendhi, more commonly known as henna tattoos. 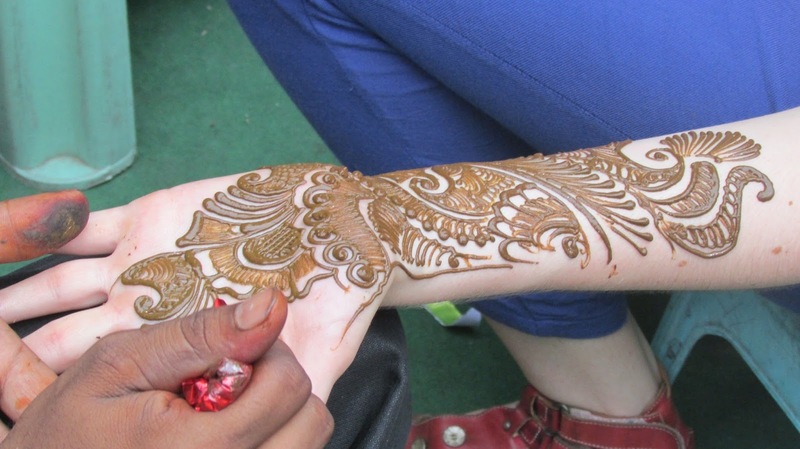 Close-up of the mendhi design. Finding their balance in front of the Rishikesh Yoga Centre. In front of the holy river of the Ganges. Wait... are those some NMH Hoggers or a throwback photo of the Beatles staying at the ashram? You decide. 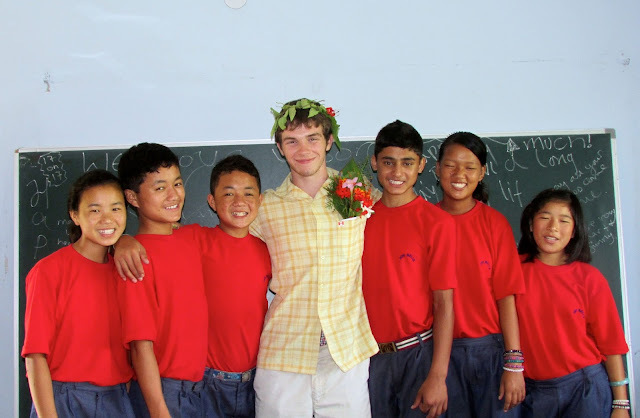 Julius celebrating his 17th birthday with his flower crown and friends. Julius celebrating his birthday with more flowers and more friends.